The 24" Di Franco Petite Single Bathroom Vanity brings a sophisticated atmosphere to your small bathroom or powder room. 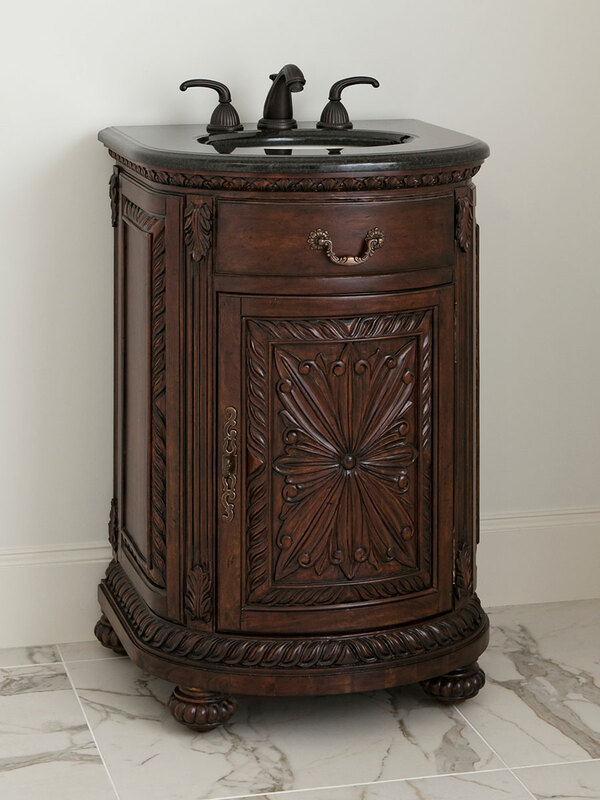 The mahogany cabinet has intricate hand carved details. The black granite top and backsplash also bring out the handsome finish. Faucet options are available to complete this antique bathroom vanity. Comes installed with a Balsa porcelain sink.